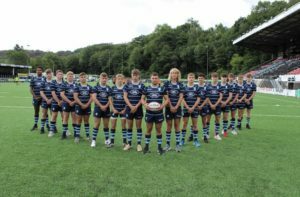 With the development pathway in the region continuing to showcase the next generation of talent , theU16s play the Scarlets this evening at Sardis Road at 7.15pm. Currently unbeaten in the competition block , the boys continue to work incredibly hard to strive for success and personal development. Gryff Rees added “together with Coleg Y Cymoedd, USW and of course the early identification process through the alignment of the Pontypridd Valleys Rugby Initiative , its fantastic to see both the educational and rugby aspects work together.” We look forward to welcoming the Scarlets to Sardis Road.